for you to turn your focus toward learning more about Alzheimer’s disease and other forms of dementia, getting familiar with the warning signs and symptoms, evaluating your senior’s risk factors, and making plans for how you will handle your parent’s care needs should this disease arise as part of your elderly care journey with her. Utilize the proper resources. The internet is an amazing resource filled with incredible amounts of information, but that information is not always the most reliable of information. When you are researching something as important as Alzheimer’s disease it is critical that you only look for information in places that have authority so that you can trust what you are reading and not start confusing and upsetting yourself with false facts and suggestions. Start with the official website for the Alzheimer’s Association and progress from there. Team up. Though many people would like to make you think otherwise, the internet does not have to be your sole source of information when you are researching. No matter how adept you are at exploring the internet and weeding out the good sources from the bad, you should not underestimate the value of speaking with an actual person about this issue. Make an appointment to speak with your parent’s doctor so that you can find out more about her specific risks, ask questions about the disease, and get recommendations for how you can modify and improve your care efforts for her. Work together. Do not reap all of the benefits of knowledge by yourself. Get your senior and her elderly health care services provider in on the adventure too so that you can all learn together. Working together to find out more is a great way to promote socialization and an opportunity to exchange ideas and questions, support each other, and feel more connected in your shared efforts. Get involved. 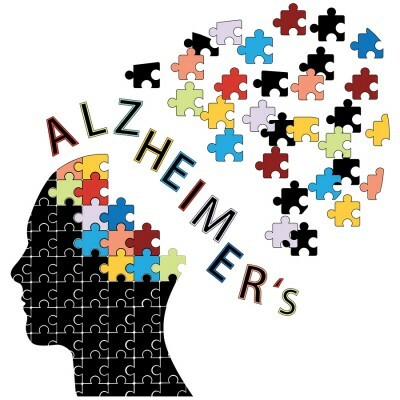 While you are learning about the disease, also look into ways that you can get involved with the Alzheimer’s community. Whether your aging parent has been diagnosed with the disease or not, it is probable that you have had someone in your life, or someone in their lives, who has been affected by this disease. Getting involved with the community and learning about events, gatherings, fundraisers, and other opportunities for personal engagement can help you to learn more, offer your support and encouragement, and give back to the community. Make plans. Some of the most powerful education that you can get in regards to caring for your senior often comes from her directly. Talk to her about the possibility of developing Alzheimer’s disease and let her tell you how she feels about it, the plans that she would like to put into place, and any concerns that she may have so that you can work together to ensure that she moves through her aging years with confidence regardless of whether she develops the disease or not. If you or an aging loved one are considering in-home elderly care in Marlboro Township NJ, please contact the caring staff at Lares Home Care 1-800-781-7435 or 732-566-1112.